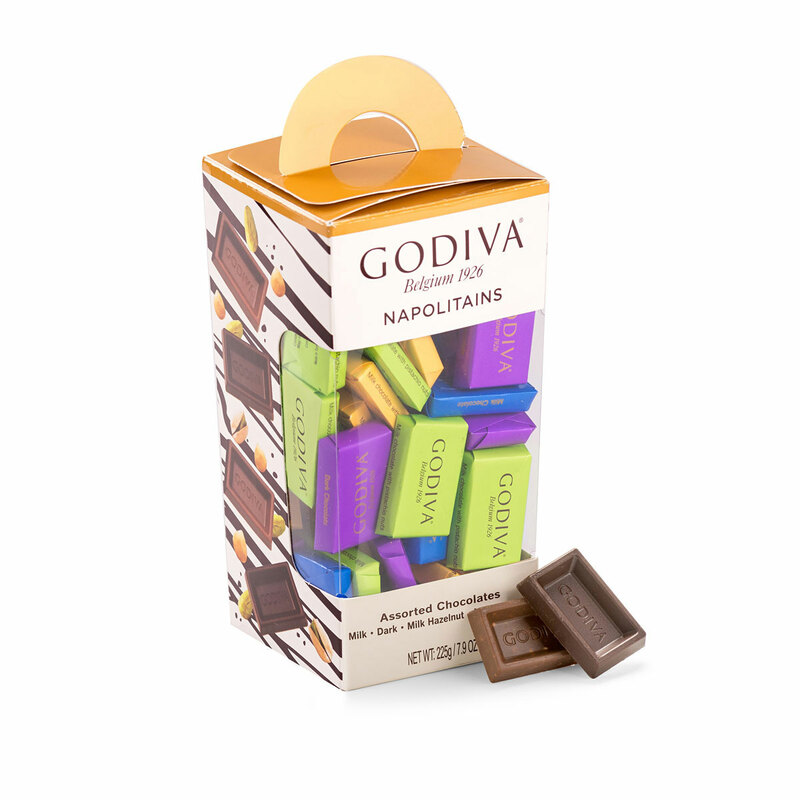 Godiva's ever-popular Napolitains have a fresh new look for 2018 in brightly colored wrappers. Inside await pure Godiva chocolate perfection in four flavors: milk chocolate, dark chocolate, milk chocolate hazelnut, and milk chocolate pistachio. Presented in a handy tower gift box so you can take your Godiva with you anywhere you go. Ingredients: Sugar, cocoa mass, whole milk powder, cocoa butter, pistachios, hazelnuts, emulsifier (soy lecithin), milk fat, salt, natural vanilla flavouring. Allergy Advice: May contain eggs, peanuts and gluten.